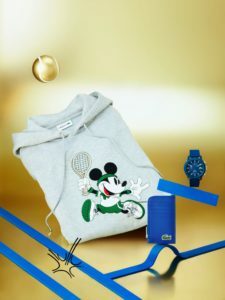 Lacoste and Disney are joining together to release a new Fall line for a joint anniversary celebration of Lacoste’s 85th anniversary and Mickey and Minnie Mouse’s 90th anniversary. 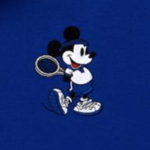 The pieces all feature Mickey and Minnie playing tennis. My favorite is the classic Lacoste polo shirt with the crocodile logo replaced by Mickey Mouse. The pieces will be available at Lacoste stores and Lacoste.com, beginning Nov. 1 in the United States and November 14th in the rest of the world. In the U.S., prices will range from $78 to $348.